Got a TV offer reference number? Here at Cruise1st we make it our aim to bring you the best cruise deals with so much more added value. 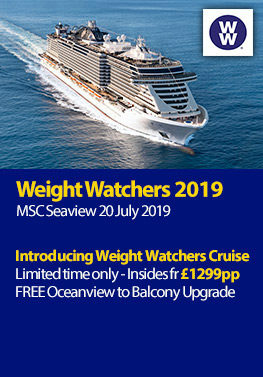 We offer cruises with FREE stays, last minute getaways and cruises with exciting escorted land tours and not forgetting our many Cruise1st exclusive deals. We have strong relationships with all major cruise lines including Celebrity Cruises, Royal Caribbean Cruises & Princess Cruises so we can deliver the best cruise holiday options at the lowest price. We have cruise itineraries to suit everyone’s lifestyle and budgets, from single travellers to larger families, so why would you go anywhere else? 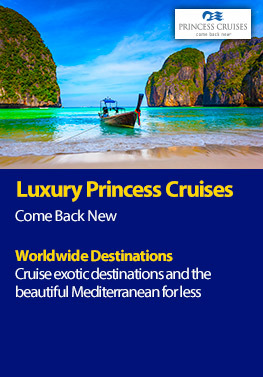 Cruise1st have your next dream cruise holiday covered, including all inclusive options, so what are you waiting for? 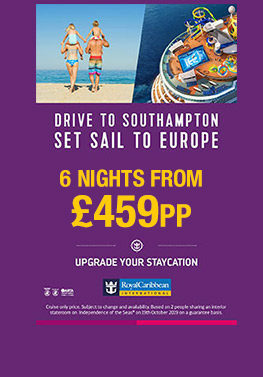 You can even book with *£0 Deposit on selected cruise lines and sailings, take a look! Cancellation cabin! Last seaview cabin available! All Inclusive Cruise! , Includes 2nt Stay In Rome! , Choose From Speciality Dining Package, Excursion Credits or WiFi!